John and Tom is based on a true story from the 1950s of John Messier's experience in the woods with a wonderful Morgan horse named Tom. John loved horses and told many stories about working with them to Vermont Folklife Center folklorist, Gregory Sharrow. 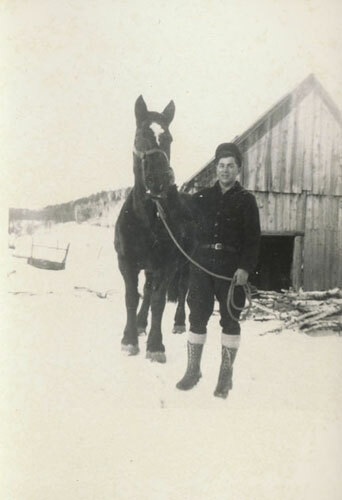 Below is a sampling of stories about horses from the Vermont Folklife Center Archive told by John Messier and other Vermont farmers. This is the story on which John and Tom is based, as told in John Messier's own words. Here John Messier talks about how working with a horse is a lot like working with a person--only better. Although horses were used for work, farmers also took the time to make their teams look nice. 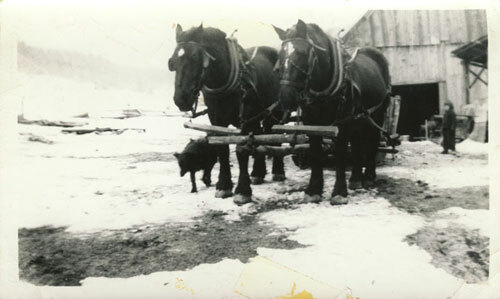 Here John Messier describes some of the things that farmers in the 1920s and 1930s did to decorate their horses when they took them into town. 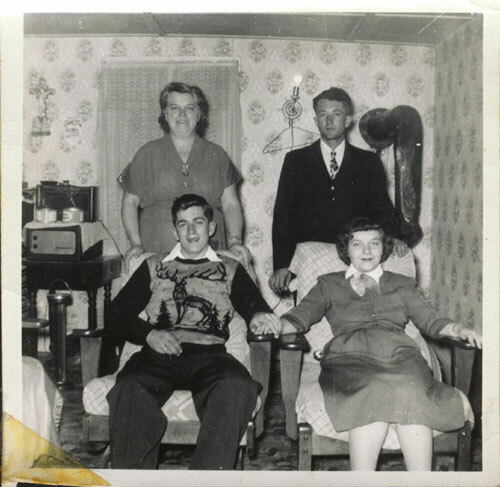 Wallace Illsley was a farmer in Braintree, Vermont, who really loved horses. Even in the 1990s Wallace and his wife Sybil drove to church in a horse and buggy! Each spring, Wallace sugared with horses. In this excerpt he describes why. 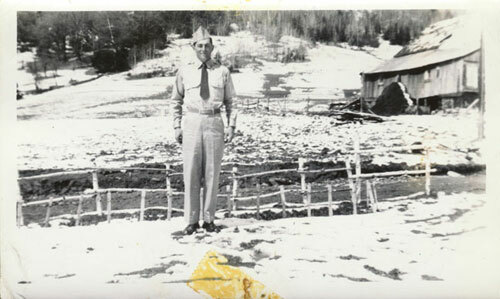 Floyd Fuller was well known in Central Vermont for "floating" horses teeth–he was a horse dentist! 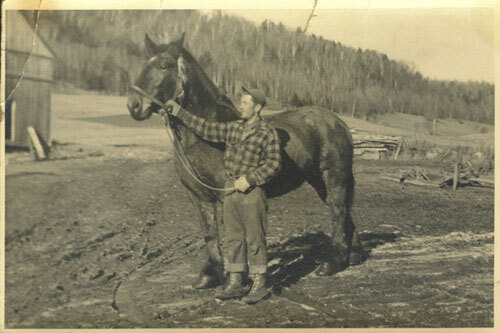 Floyd grew up with horses, and his father was an excellent horse trainer. In this excerpt Floyd describes how his father trained horses to do some very surprising tricks. 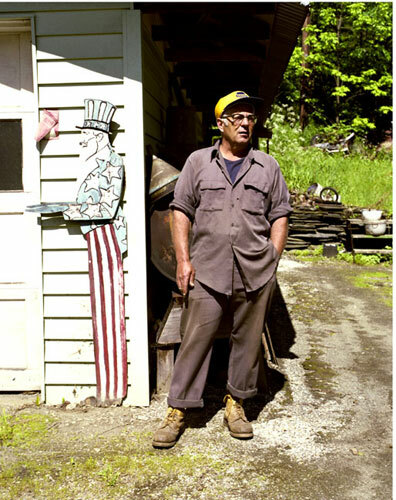 Forrest Northrup grew up in the heyday of horse-powered farming. Here he talks about the special relationships that can form between people and horses when they work together every day.